Special Price - 22% OFF! This tulip shaped crystal candle holder measures 3" wide, x 2" tall and is 24% leaded crystal. 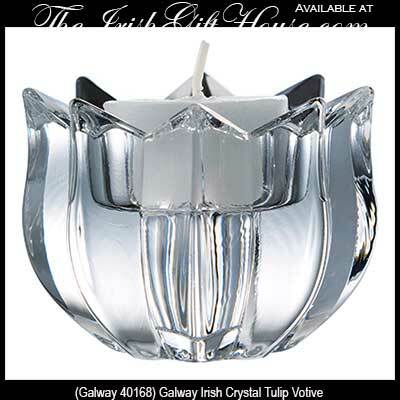 This piece of Galway Crystal is gift boxed with the included candle and it is available from The Irish Gift House.